A peek into the day to day life of renowned South African contemporary fine artist, Peter Pharoah, living and working in Wilderness along the Garden Route of South Africa. The word "koi" comes from the Japanese, simply meaning "carp." It includes both the dull grey fish and the brightly colored varieties. A homophone of koi means "love, affection" and koi are often used as symbols of love and friendship in Japan. Koi have many different colors. Some of the major colors are white, black, red, yellow, blue, and cream and it was this magnificent play of colours in the pond outside Peter's studio that have inspired these two magnificent artworks. Want to know more about the life of Peter Pharoah, South African fine artist living in Wilderness in the Garden Route? ... then look no further. Peter Pharoah is a contemporary fine artist living and working in Wilderness, Garden Route, South Africa. 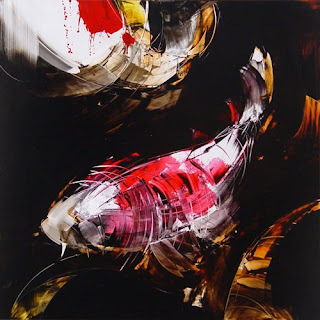 His passion for Africa is magnificently captured in his amazing artworks that feature African wildlife, tribal portraits, contemporary African scenes as well as powerful abstracts with bold colours, shapes and textures.